Protecting your business from the cost of unavoidable expenses or employee-related incidents can seem impossible. 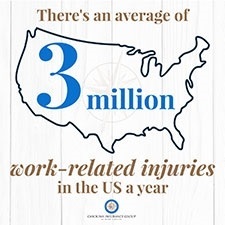 Luckily, investing in general liability insurance and worker’s compensation insurance can help your business receive optimal coverage and keep things running smoothly, even in the midst of an incident. It’s important to know the difference between General Liability Insurance and Worker’s Compensation Insurance and what kinds of incidents are covered by each. Carolina Insurance Group helps businesses just like yours choose the best policy, so no matter what happens, you’ll know you’re covered. A bodily injury that a person who is not an employee sustains at your business or on the real estate that your business owns. Damage that is accidentally caused to a non-employee’s property. Advertising injuries including but not limited to: slander, trademark infringement, and libel. If your business is sued over one of the incidents mentioned above, then your General Liability policy can cover court costs, lawyer fees, settlements, or judgments (as stated within the limits of your specific policy). General Liability insurance is often considered an essential coverage for any type of business; without it, you might face bankruptcy or a costly lawsuit due to an unforeseeable accident at your place of business. Who Needs General Liability And Worker’s Compensation? While a Worker’s Compensation policy is required for many businesses, if you want to have the optimal coverage then you should also have a General Liability policy. The latter will protect you from the claims of third party individuals who are injured at your place of business, while the former will help your business adhere to state laws and simultaneously protect your employees should a work accident occur. 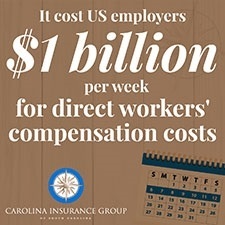 To learn more about the differences between General Liability and Worker’s Compensation insurance policies, contact the Carolina Insurance Group. 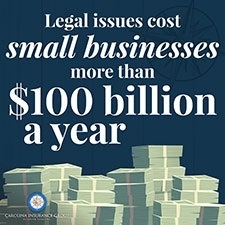 For the past 15 years, the Carolina Insurance Group has helped businesses select insurance policies that best fit their needs.